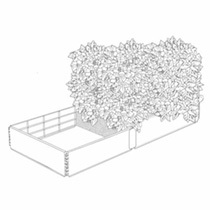 Extension Kit - Comprises two panels, steel 'U' brace and necessary fixings, to double the capacity of your bed! Assembly requires the use of a drill. 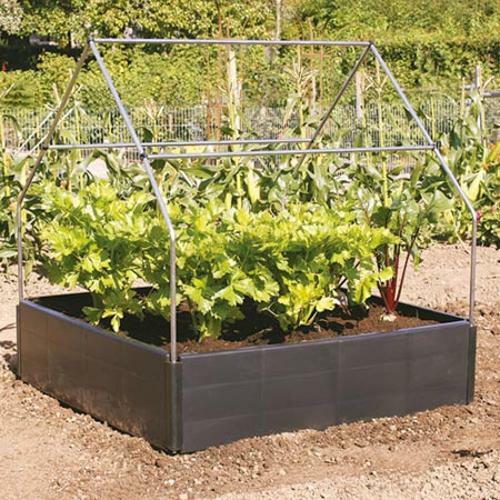 Raised bed Canopy Support - This aluminium frame anchors firmly into your raised bed to provide a rigid support for netting or polythene. No tools are required and assembly takes minutes. Height 1m (39"). Pop-up Covers: Perfectly sized to fit over our Raised Bed (though they can be used independently too), these sturdy covers simply spring into shape thanks to the zinc wire frame, negating the need for assembly. Supplied with 8 metal anchor stakes. 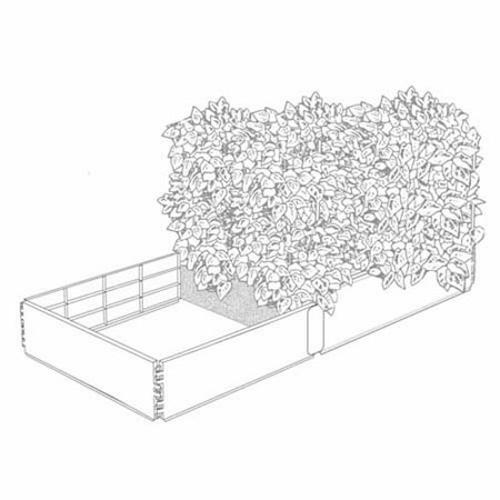 Size 1m (3'3") x 1m (3'3") x 1.2m (3'11") high. 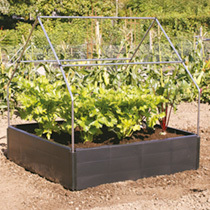 Two covers available: 'Mini Greenhouse' - Made from super clear UV-stabilised PVC to provide protection to vegetables or tender plants. 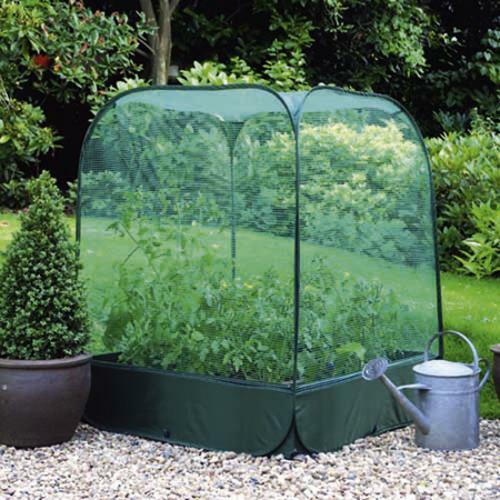 It has a large top window vent with open/close flap for ventilation control, an insect net panel to keep unwanted pests out, and a twin zip door for easy access. 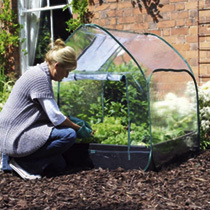 WHY NOT BUY 'MINI GREENHOUSE' & RAISED BED. Net Cover - This net enclosure features 6mm (¼") mesh to protect against birds, rabbits and larger insects. 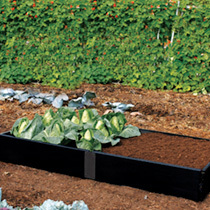 WHY NOT BUY NET COVER & RAISED BED. 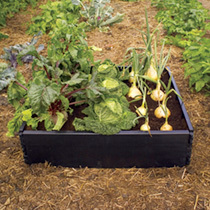 An easy way to start growing vegetables!